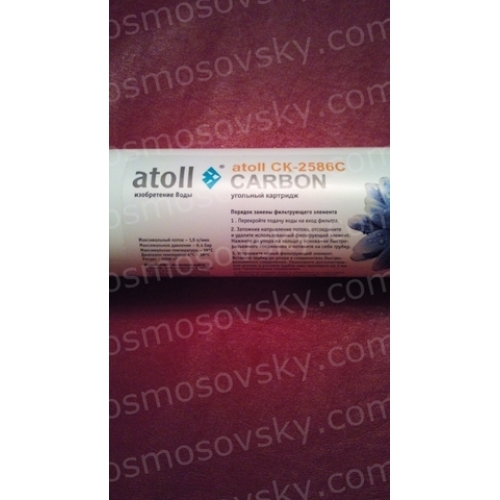 Linear cartridge Atoll CK-2586C with a small fraction with activated charcoal from coconut shells. 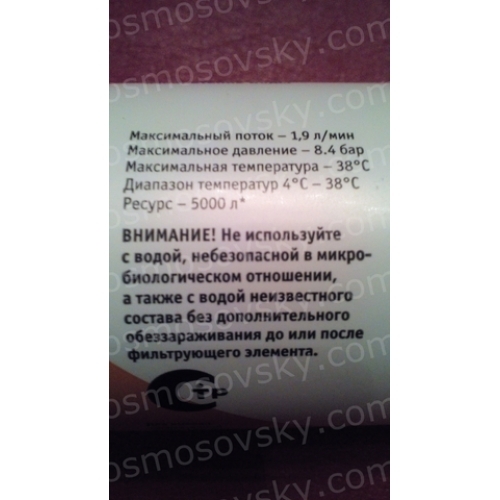 Used as a fifth stage in reverse osmosis filters. 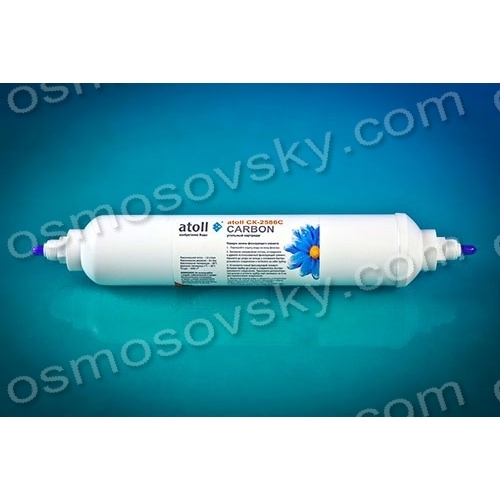 Postfilter Atoll CK-2586C removes from water dissolved gaseous impurities, adjusting the taste and smell. It comes with built-in quick fitting 1/4 in. 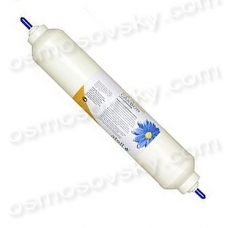 Compatible with all modern standard reverse osmosis filter. Buy post-filter reverse osmosis Atoll CK-2586C, you can place your order on our website or contact us in any convenient way for you. 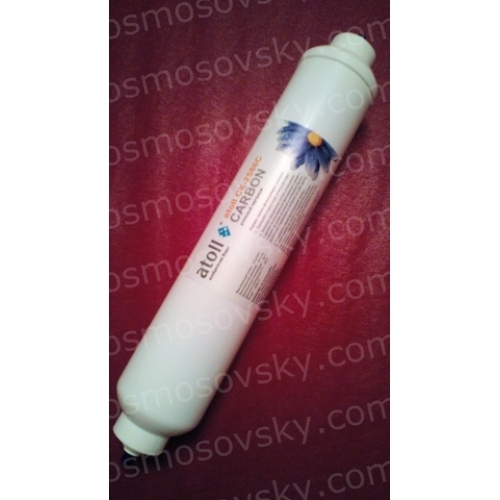 Standard size cartridges inline filter cartridge 2"x10"